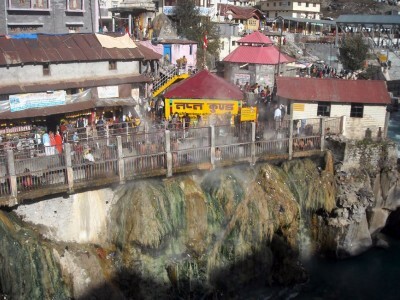 The mystic land of Uttarakhand is not just known for its scintillatingviews, snowcapped mountains and majestic locations for some fun and frolic, but also known as the land of Gods, which attracts lakhs of devotees every year from India to take blessings from its countless holy sites, one of which is Badrinath. 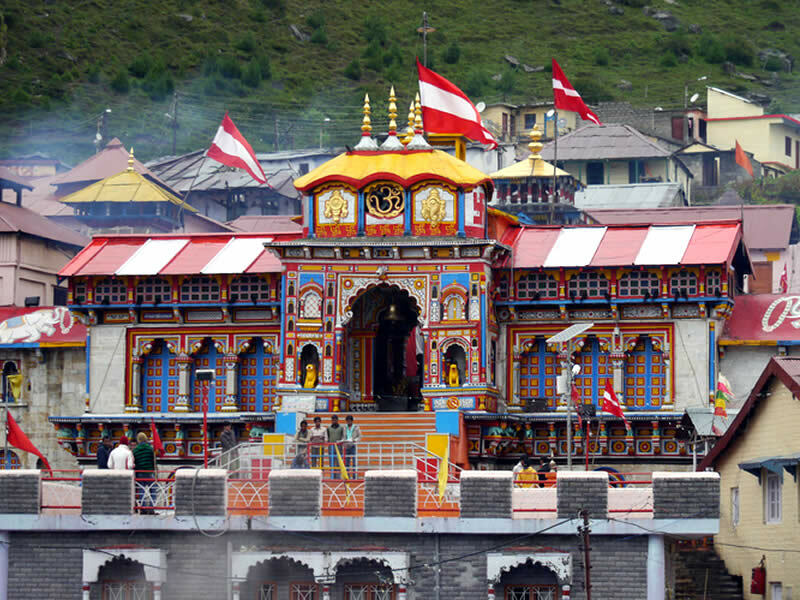 Situated between the mountains of Nar and Narayana mountain ranges 9 km east of Nilkantha peak, on the banks of the Alaknanda River, Badrinath is one of the most sacred town of the Hindus. Elevated at 3100 metres, Badrinath is one of the holy shrines of chota char dham. 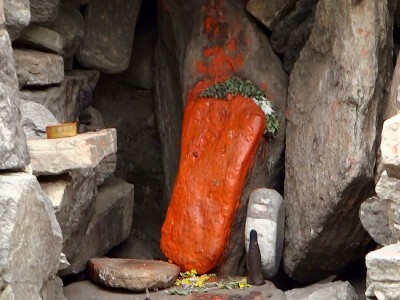 According to Hindu Mythology, it's important to visit this abode in Himalayas at least once in lifetime to attain salvation and getting rid of all the sins. That's the reason, even foreign tourists flock in large numbers now to feel blessed, peaceful and spiritually connected to the Universe. 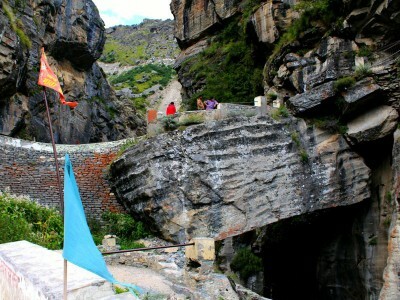 Badrinath which is located in Garhwal hills, was constructed approximately two centuries ago by Garhwal Kings. In the sixteenth century, the king of Garhwal moved the murti to the present temple. 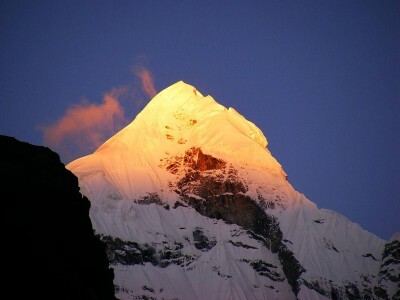 However, in the 7th century, it was re-established as one of the main holy sites by Adi Shankara. Approximately 50 ft (15 m) tall with a small cupola on top which is covered with a gold gilt roof, the Badrinath Temple is divided into three parts. Garbha Griha, the sanctum sanctorum or main shrine area, Darshan Mandap for pujas whose walls and pillars are covered with intricate carvings and Shobha Mandap where devotees’ assemble. The architecture resembles a Buddhist vihara (temple). 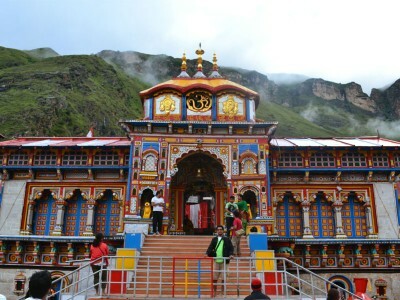 The temple complex has a metre-high black stone deity of Badrinath. There are 15 idols in the complex including Laxmi, Shiva, Parvati, Ganesh etc. Badri is the Sanskrit name for the Indian Jujube tree, which has an edible berry that was said to grow in abundance in the area, and nath refers to Vishnu. Some scriptural references also refer to Jujube trees being abundant in Badrinath. According to Hindu Mythology, Bhagavata Purana, the Supreme Being Vishnu or Badrikashram in his incarnation as the sages Nara and Narayana, had been undergoing great penance or self-punishment since time immemorial for the welfare of all living entities. As per the sacred writings of Hindus, it is a place sacred to Vishnu, particularly in Vishnu's dual form of Nara-Narayana. One legend has it that when the goddess Ganga was requested to descend to earth to help suffering humanity on the request of suryavansh king bhagiratha, the earth was not capable to oppose the force of her descent. Therefore, the mighty Ganga was divided into twelve holy channels, with Alaknanda one of them. 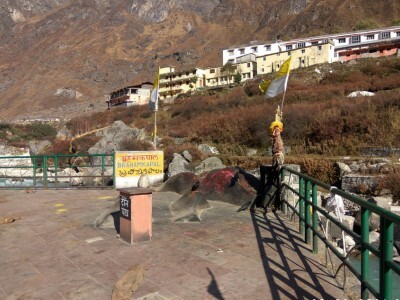 Another Legend explains both name and sitting posture as this place was full of Badri bushes and Vishnu meditating for, beloved Lakshmi stood next to him sheltering him from sweltering sunlight turned into a Badri herself called Badri Vishal and her lord(Nath) became the BadriNath. The mountains around Badrinath are mentioned in the Mahabharata as Swargarohini, where the Pandavas were said to have left for heavenly abodes. 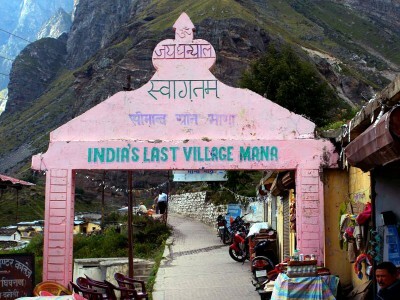 They passed through Badrinath and the town of Mana, 4 km north of Badrinath, on their way to Svarga (heaven). According to the legend, there is also a cave in Mana where Ved Vyasa wrote the Mahabharata named as Vyasa cave. The best time to visit this temple town is from May to October. It is 518 km away from Delhi, 321 km from Haridwar, 343 km from Dehradun, 297 km from Rishikesh, 155 km from Rudraprayag, 123 km from Karnprayag, 225 km from Devprayag and 42 km from Joshimath. 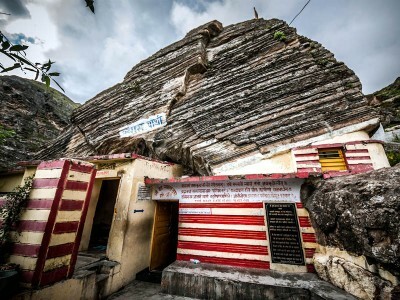 The temple has been repeatedly destroyed by earthquakes and avalanches, but the faith of devotees has never gone down.